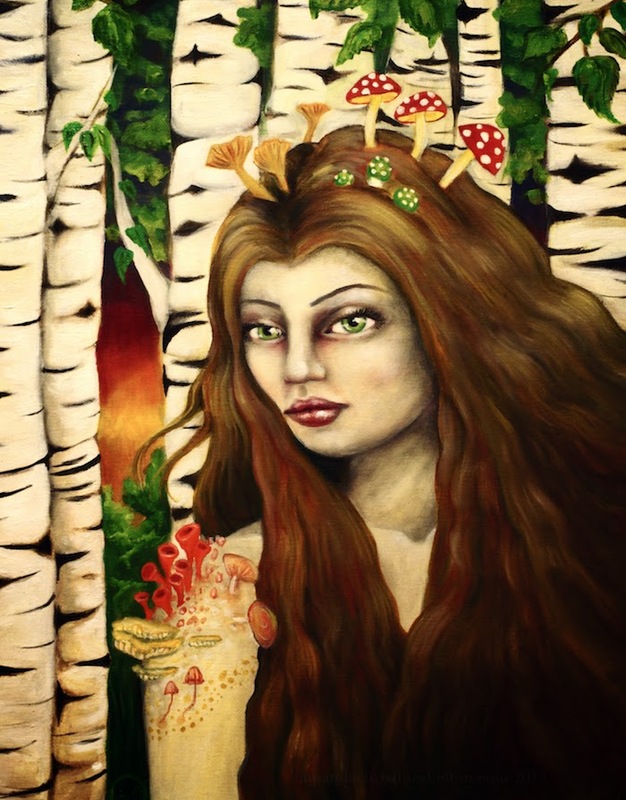 Before we moved I started painting a lady of the forest who had a harmonious relationship with several variety of fungi... to the extent she had them growing on her... After getting moved into our new house I was able to drag out my oil paints and get some pieces finished including the mushroom lady. "Symbionts" is currently available. inquire by email or contact form on my website.